Extracellular matrix (ECM) scaffolds have been shown to promote constructive remodeling response into a host. Minimal disruption of ECM ultrastructure during tissue processing is typically desirable. The purpose of the study was to prepare and characterize bubaline aortic matrix (BAM) for abdominal hernia repair in cattle. The bubaline aorta was decellularized with 1% sodium dodecyl sulfate (SDS) for 24 h followed by 0.25% trypsin for 2 h and again with 1% SDS for 24 h. Native and decellularized aortae were examined for residual cells, collagen structure and integrity by histologic examination and scanning electron microscopy (SEM). Masson’s trichrome and Weigert’s staining, DNA quantification and Fourier transform infrared (FTIR) spectroscopy were used for further characterization of BAM. BAM was used for repair of abdominal hernia in six cattle having mean weight of 132.50 ± 21.86 kg and hernial ring size of 40.55 ± 15.42 cm2. Clinical, hemato-biochemical and antioxidant parameters were evaluated to assess biocompatibility of xenogenic BAM. Histologically, the absence of cells and orderly arranged collagen fibers were observed in treated aorta. SEM confirmed the preservation of collagen structure and integrity. DNA content was significantly (P < 0.001) reduced in BAM (6.47 ± 1.26 ng/mg) as compared to the native aorta (488.11 ± 49.12 ng/mg). DNA extracts from BAM show marked removal of DNA material, with the absence of DNA band in agarose gel. FTIR spectrum of BAM showed all characteristic transmittance peaks of native aorta collagen indicating preserved collagen structure within decellularized aorta. Cattle with the BAM implant recovered uneventfully and remained sound. Hemato-biochemical and antioxidant findings were unremarkable. Bubaline aortic matrix shows excellent repair efficiency and biocompatibility for abdominal hernia repair in cattle without complications. Treatment with 1% SDS for 24 h followed by 0.25% trypsin for 2 h and again with 1% SDS for 24 h results in 98.68% reductions in DNA contents and complete acellularity of the bubaline aorta. FTIR spectrum of the decellularized aorta showed all characteristic transmittance peaks of collagen. Bubaline aortic matrix shows excellent repair efficiency and biocompatibility for abdominal hernia repair in cattle without complications. 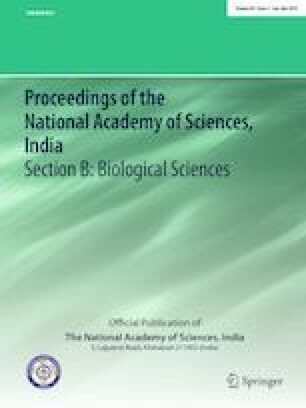 This paper includes a part of MVSc thesis of the first author approved by Junagadh Agricultural University (JAU) and was supported by the Director of Research, JAU, Gujarat (India).